Our services are inspirational, educational and easy to follow. Everything is explained in English and customized to fit your needs and give you the best experience posssible. Our services are not too long and not too short. Just enough to do the whole thing and not get frustrated. 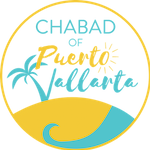 Many of the prayers are explained and the rabbi spinkles stories, jokes, anecdotes and lots of surprises to keep you interested. Our goal is for you come out of the experience inspired and excited to start a new year.